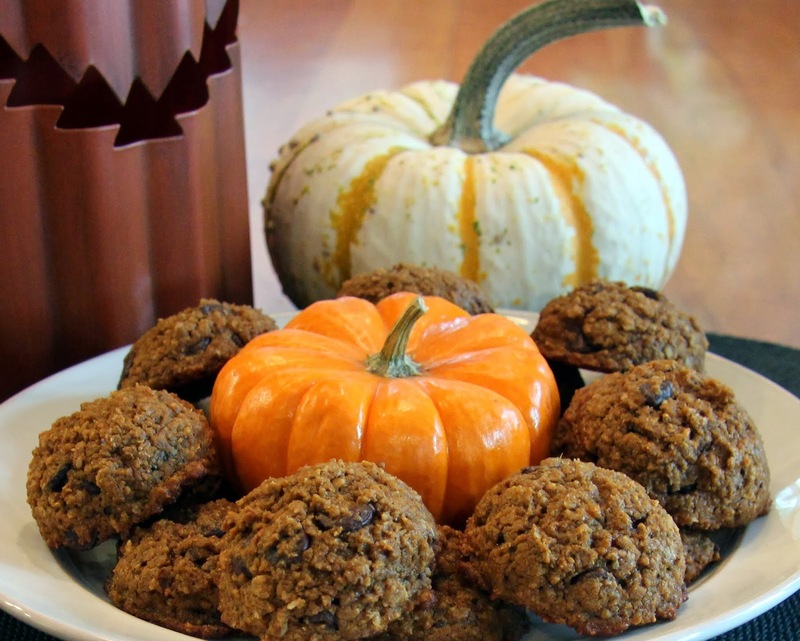 Pumpkin Oatmeal Chocolate Chip Cookies - Wheat free. Step by step instruction. Happy Halloween! I just finished helping at the school party so I apologize if I’m less than articulate but I wanted to get this recipe to you. You see, with all the candy being passed out tonight, I’m offering you a healthier treat to keep you hands out of your child’s stash (Not that you would ever stoop that low, I’m sure you have much more self-control than I do.) and give them a healthier option as well. I made these earlier this week and they truly have kept me from consuming all the candy we bought last weekend. 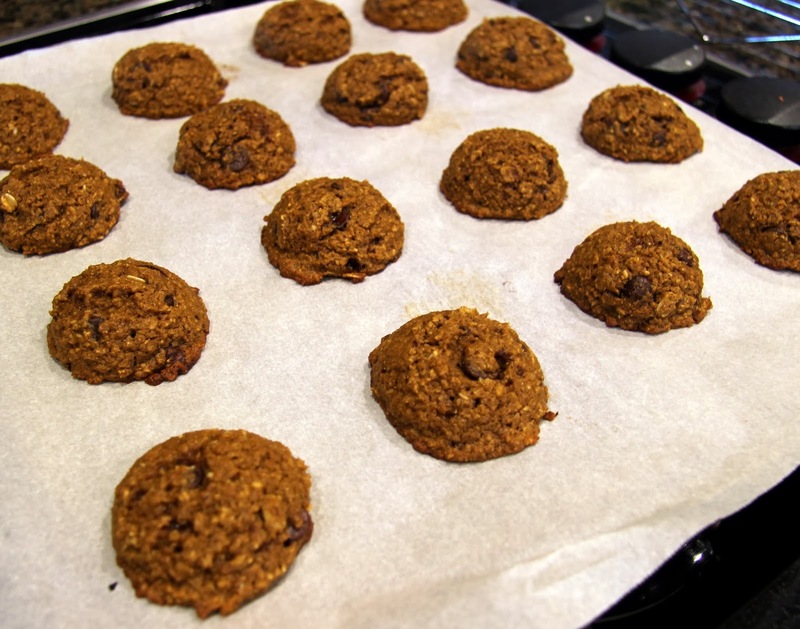 You may be wondering how eating a cookie is really all that much better than eating candy. Well, check out the ingredients and you will see! 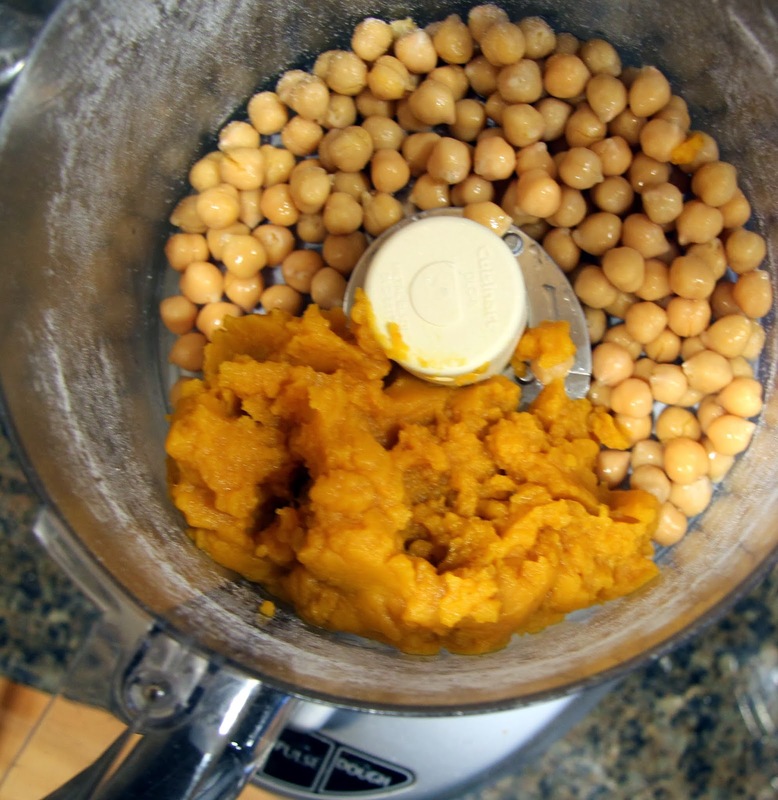 You may also be very skeptical, especially when you see the secret ingredient (pureed garbanzo beans), about how it might taste. I don’t blame you but I assure you they not only pleased my picky palate but my husband and both my girls (quite a feat) loved them as well. Then we took them to our good friend’s house and they were a hit with all three kids and their mom! No one suspected the beans at all and the adults were amazed when I told them… I didn’t tell the kids they were healthy, this ain’t my first rodeo. 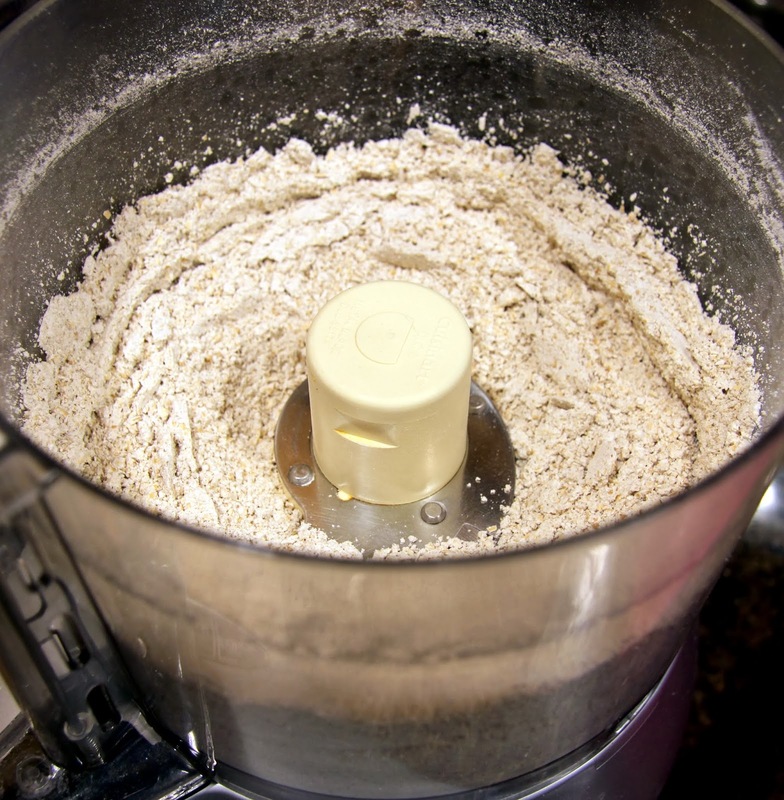 I find a food processor works best for the oat flour and pureeing the beans but you might be able to make it work with a good blender. 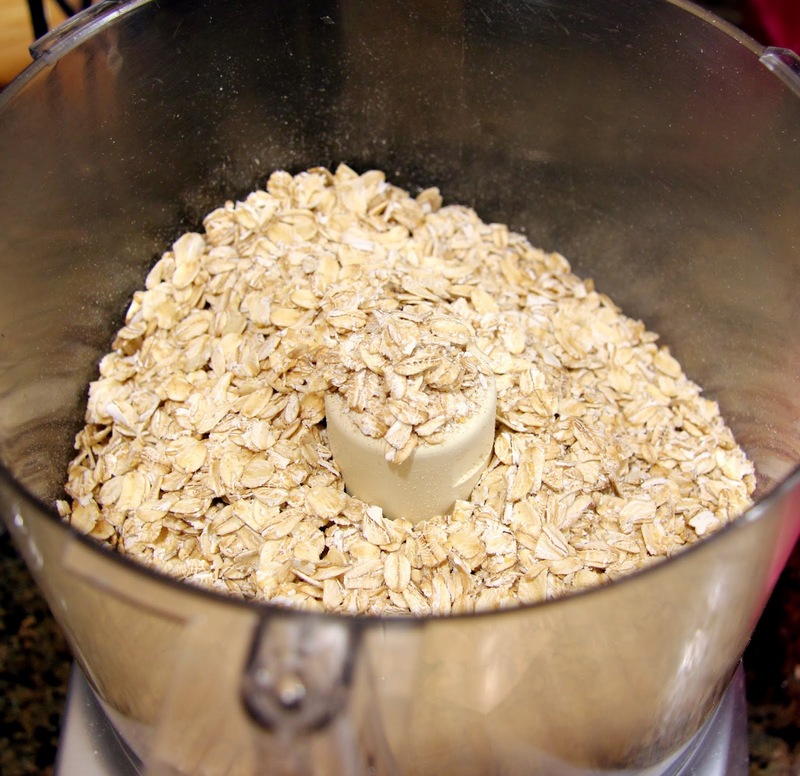 *If you want to make these truly gluten free, make sure your oats are labeled gluten free because they are often processed alongside wheat and other grains that contain gluten. 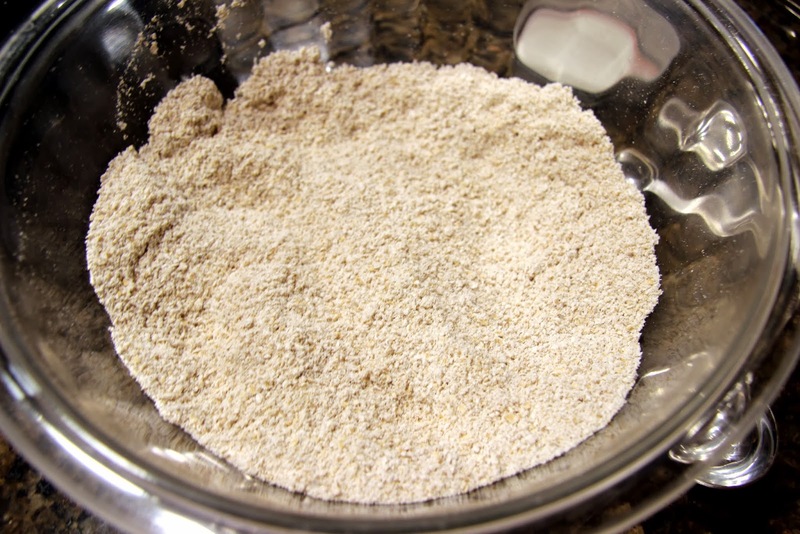 Process oats until they reach a flour consistency. 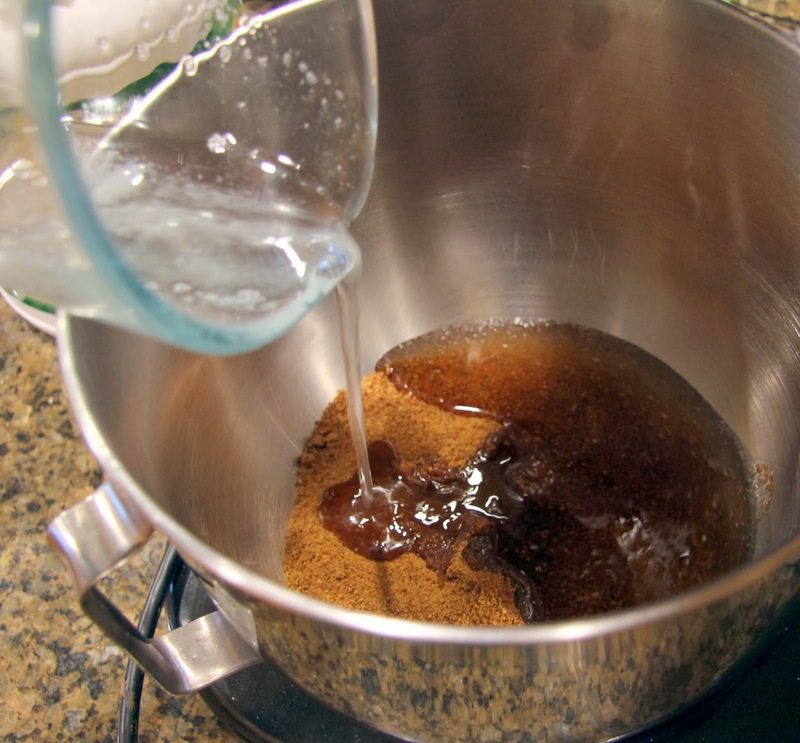 Transfer to a bowl and add baking soda, salt, cinnamon, ginger and allspice, stir to combine and set aside. 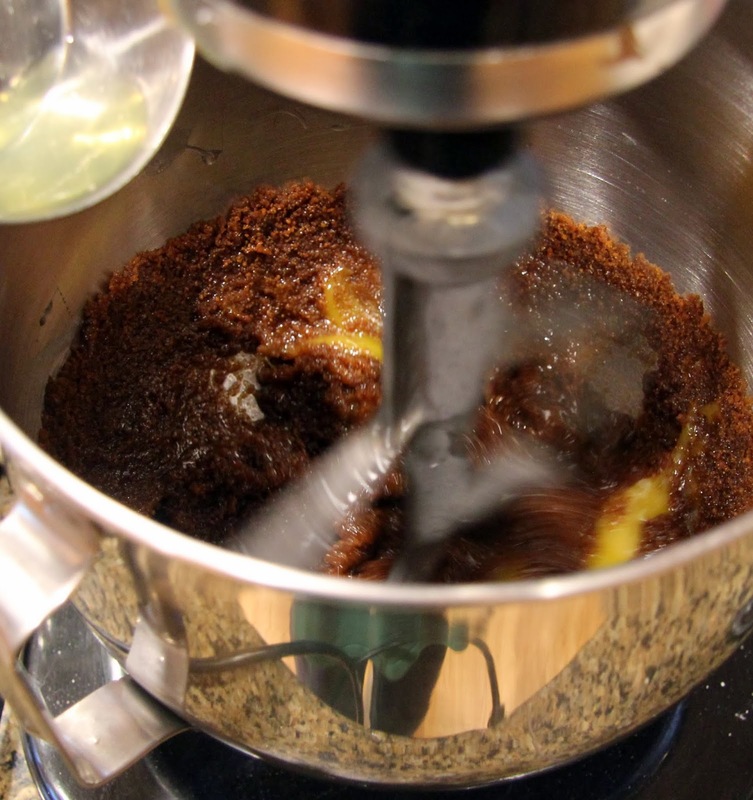 Using a stand mixer or standard beaters, mix together coconut oil and coconut sugar until combined. Add eggs, one at a time, and beat until combined. 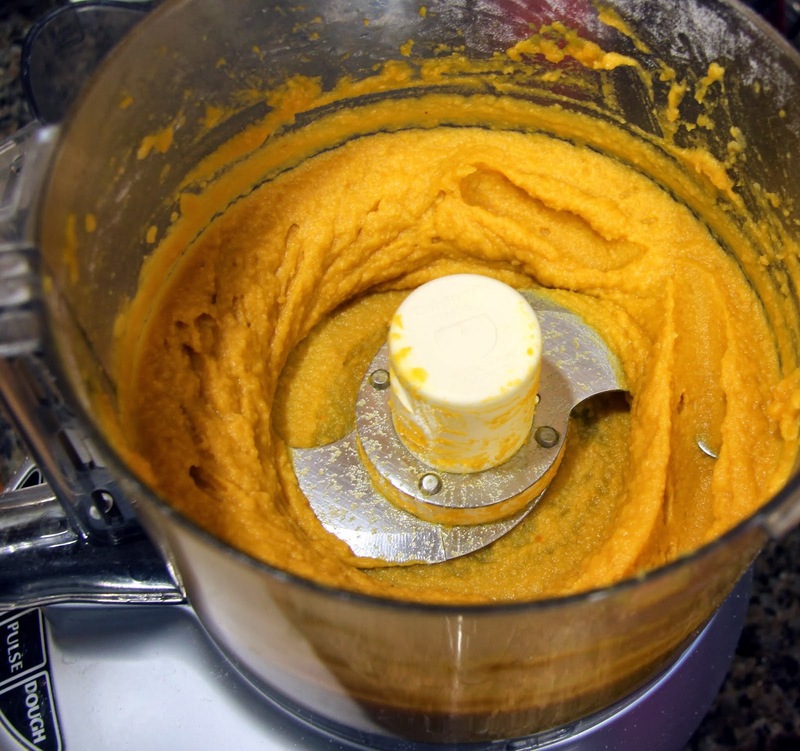 Using your food processor again, pulse beans and pumpkin together until well combined then continue to process until totally smooth. You don’t want some small person to find a whole bean in their cookie – it’s all over when that happens. 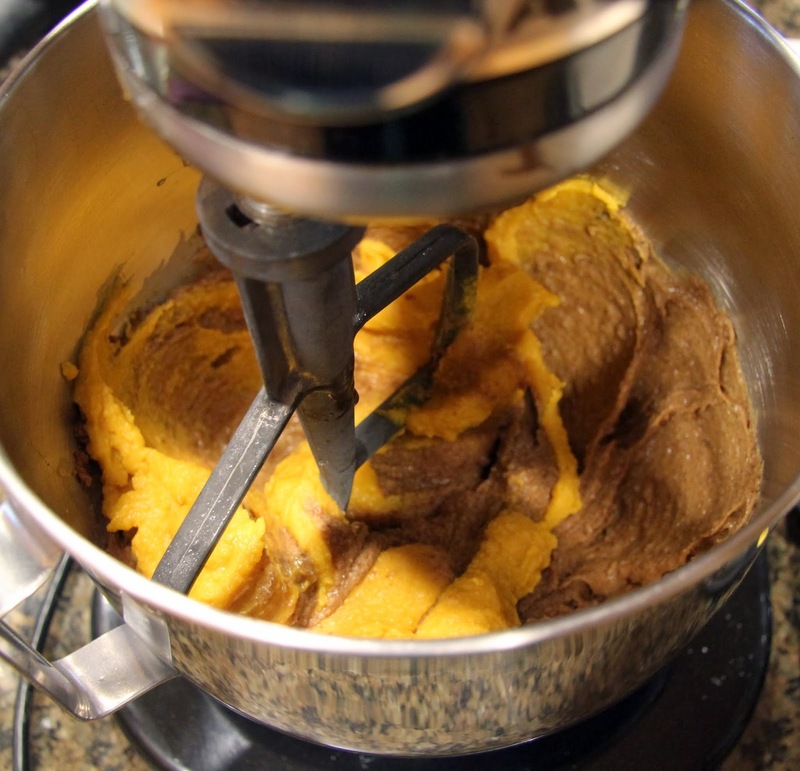 Add the bean/pumpkin puree to the mixing bowl and beat until well combined. 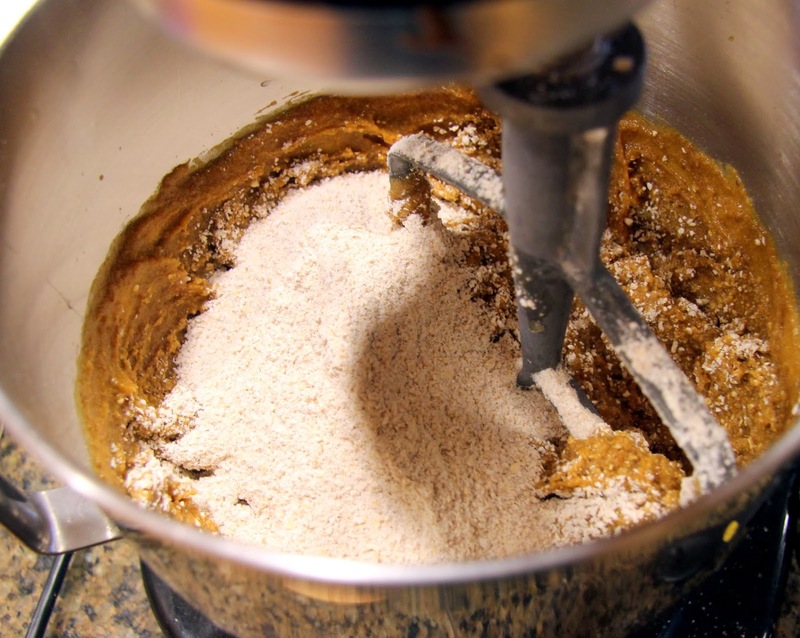 Add oat flour mixture and mix lightly until it’s all incorporated into the wet mixture. Stir in chocolate chips. 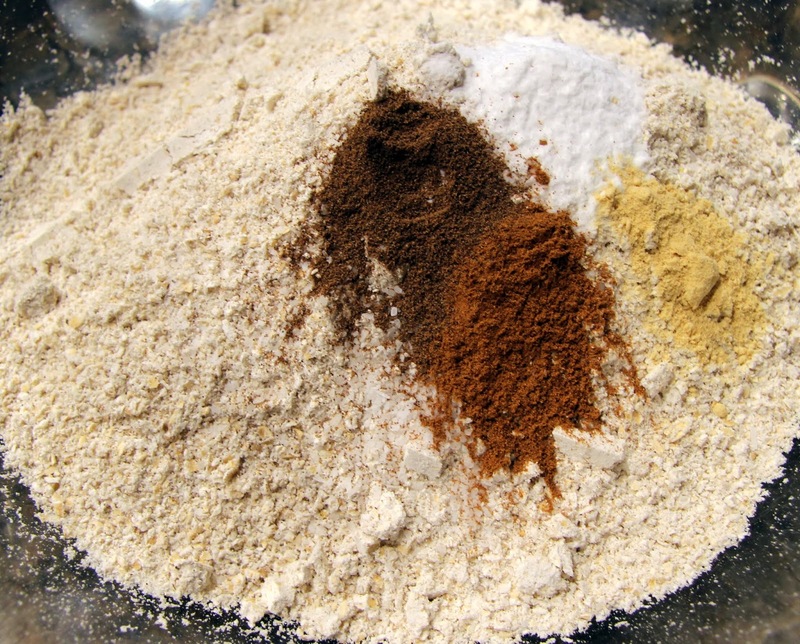 For best results, refrigerate dough for at least an hour before baking. 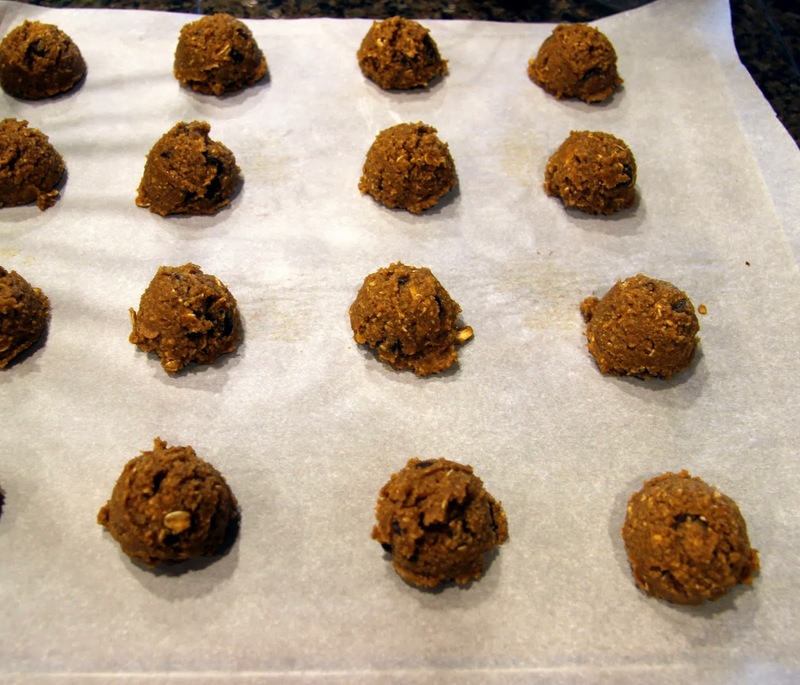 Drop by tablespoonful on cookie sheet lined with parchment paper, a silicon pad, or coated with cooking spray. Leave @ 2″ between them. 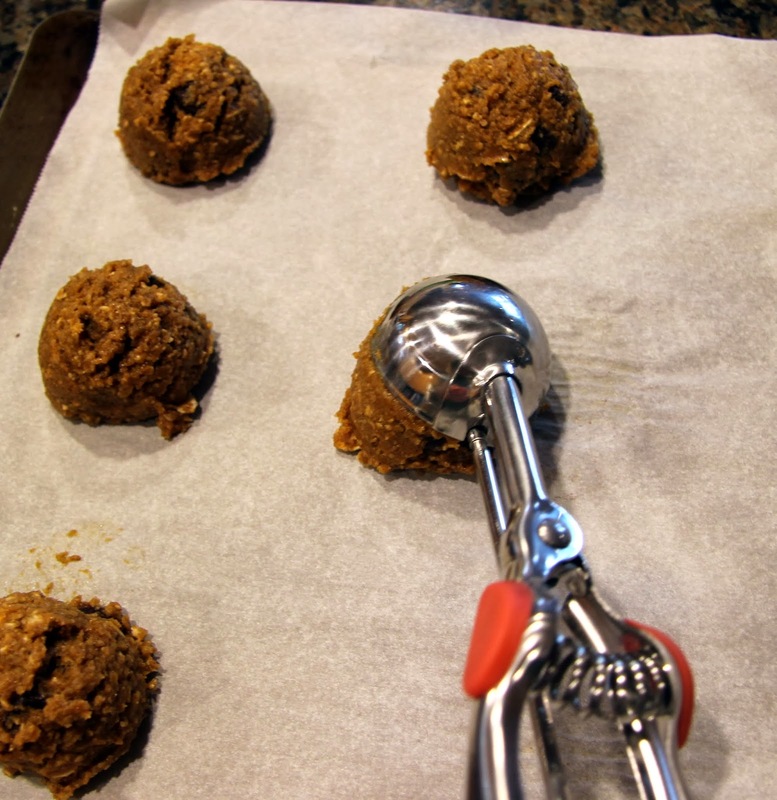 The cookie scoop is handy but regular tablespoons work as well. Bake in preheated 350 degree oven for 12 – 14 minutes. They should be puffed up and cracking ever so slightly on top. 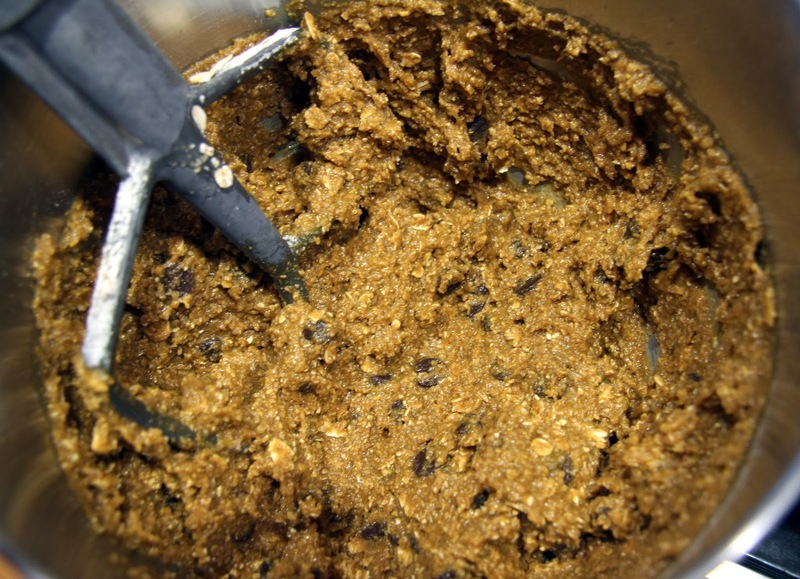 Be careful not to over-bake for super moist cookies! Allow to cool on a cookie rack then serve them warm or at room temp. As with all cookies, they are best eaten on the same day they’re baked! I know you’re singing it!